If you're an aisle-seat person, you might want to reconsider, if you're hoping to avoid getting sick on a plane. If you're an aisle-seat person, you might want to reconsider. Flying during flu season sounds like an easy way to come back home with a nasty, unwanted souvenir from your travels. 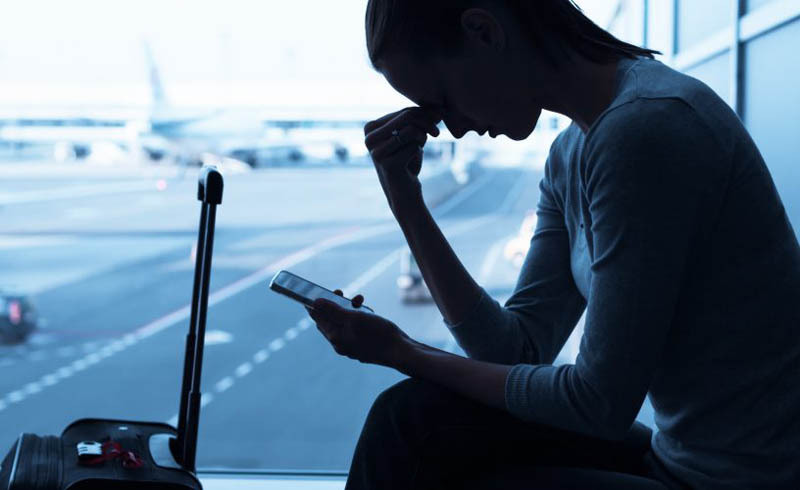 But according to a new study published in the Proceedings of the National Academy of Sciences, it’s unlikely that you’ll catch the flu on your next flight. Because the flu typically is transmitted through the air via small respiratory droplets from an infected person or from something an infected person has touched, whether you use the airplane lavatory and how well you wash your hands are all key factors in whether you end up catching the flu on your next flight. “Sneeze into your elbow, use good hand hygiene, and turn on your air vent. That will send the droplets straight to the floor,” Vicki Stover Hertzberg, the study’s lead author and professor of nursing at Emory University, told The New York Times. But where you sit also matters a lot. Using data collected from 1,540 passengers and 41 crew members from five different round-trip flights between Atlanta and the West Coast, researchers found that people sitting in aisle seats had contact with 64 other people on average, while those in the middle seat had 58 and the window seat only had 12. They also found that those seated in the middle of the cabin had more contact with other people than those with seats in the front or back. Using this information, the research team set up 1,000 flight simulations using the estimate of one meter as the distance required to transmit the flu disease directly to another passenger on a plane. In the first scenario, the passenger in seat 14C in the middle of the plane had the flu, while in a second situation a crew member was infected with the virus. In scenario one, they concluded that the 14 people sitting in the same row, the row in front and the row behind on each side of the aisle next to the infected person in 14C were the most at risk for getting the flu. However, the person in the window seat in row 16 had a nearly zero percent chance of catching the flu from the passenger in 14C, unless they happened to come into contact in the bathroom line or when entering the plane. Which means, you might want to reconsider your status as an aisle-seat person. They found that throughout the entire plane, aisle seat passengers were more at risk than other passengers. 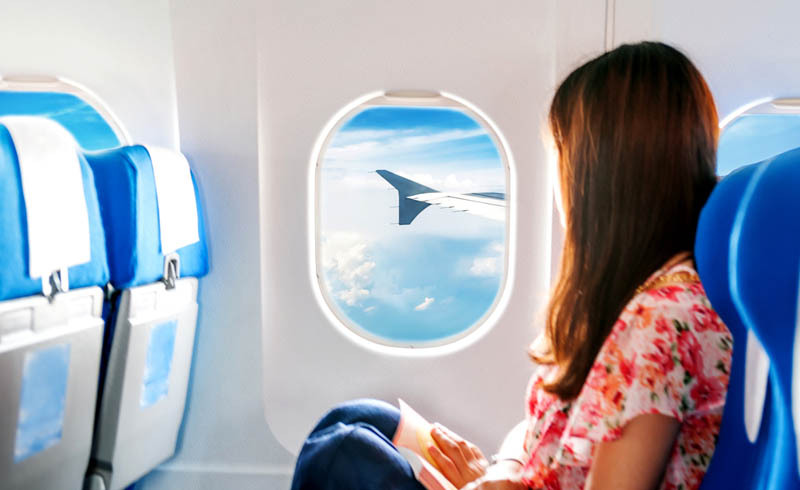 But before you freak out and rebook all your flights for the window seat, you’ll be happy to learn that airplanes are way cleaner than you’d think. Of the 229 samples the researchers collected from airplane surfaces before and after other passengers boarded, none of them had any evidence of 18 common respiratory viruses. As for a sick crew member? Your chances of getting the flu from a flight attendant are low since they’re likely to stay home when they’re sick, but if they do come to work, researchers found they’d infect about 4.6 passengers per flight on average. “It’s pretty clear that if you’re seated more than a meter away from an infected passenger and you’re careful with hand hygiene, you’re unlikely to get infected with the flu,” said Howard Weiss, a professor of mathematics at the Georgia Institute of Technology and one of the study’s authors.